I wanna use this medium to wish each and everyone of you a Happy Easter in arrears.. hope you had a wonderful holiday like i did and we will definately be together to celebrate another Easter by the grace of God. The shoe of the day is the one and only Christian Louboutin so kate bubble nappa pumps that has succeeded in capturing and mesmerizing me into the world of sexyness like can you guys not see the luxurious class this shoe is emitting? like am sorry why won't i be biased by saying Christian Louboutin is and will always be my first love most especially the so kate designs . 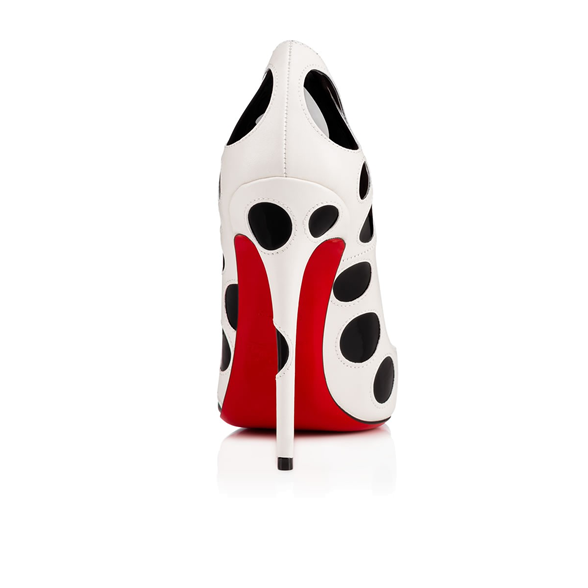 Christian Louboutin has been able to carve a name for himself as the maker of the near perfect pumps that's why you get to see ladies converting into lovers of this highly esteemed shoe and now yet another style to keep us trapped in that i can't stop drolling over. 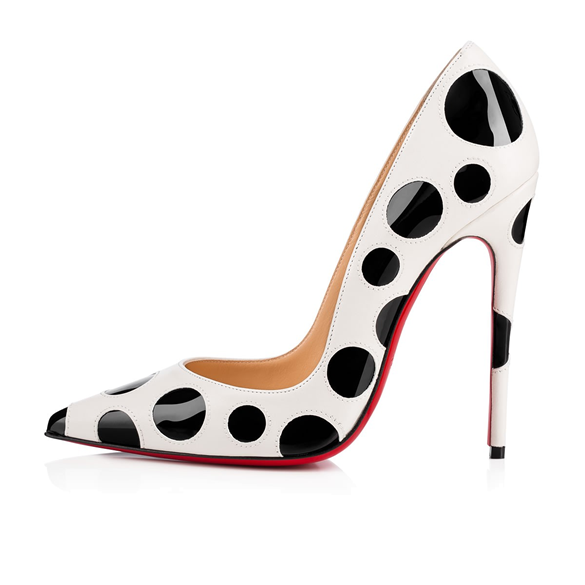 Though i don't own any CL shoes or the most coveted so kate styles, i have a wishlists of all the so kates i would definately love to own and this polka dots my ladies is definately gonna be added to my wishlist book. Get spotted this season in "So Kate Bubble". 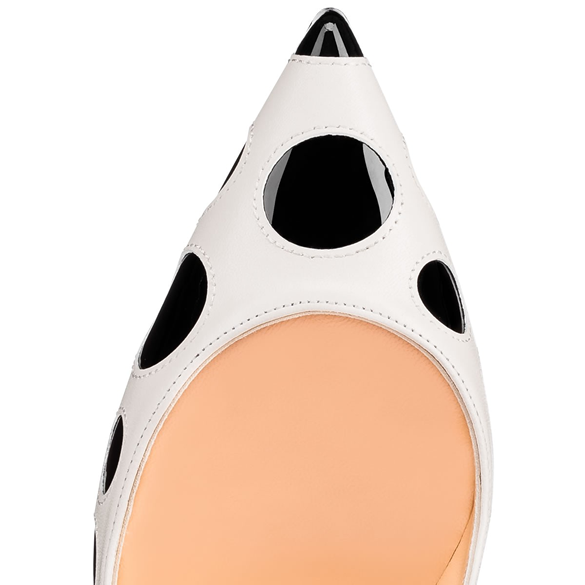 The beloved signature classic 120mm pump is cloaked in a black patent leather base overlain by a holey layer of latte leather and hand-stitched, producing a head-turning polka dot motif. woow, super diferent my friend :D love the irreverence! Aww you love it too? Same here darling.. Thanks for coming by. Lovely shoes! Have a great day! I love stilettos and the ones you have shown are so original! Thank you for your post. Those shoes look so awesome! I love the polka dots. Absolutely love these shoes! Don't think I have seen polka dots ones before! Lol... 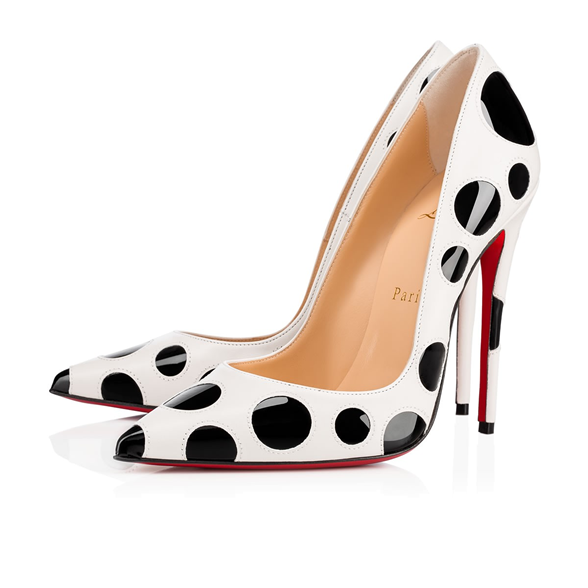 Shoes like this are admired from afar honestly cos the price tag is not something one should joke with. Those shoe are super cute and fun.